Retirees may have different tastes in culture and recreation, but there are some basic aspects of a retirement living environment that have fairly universal appeal. 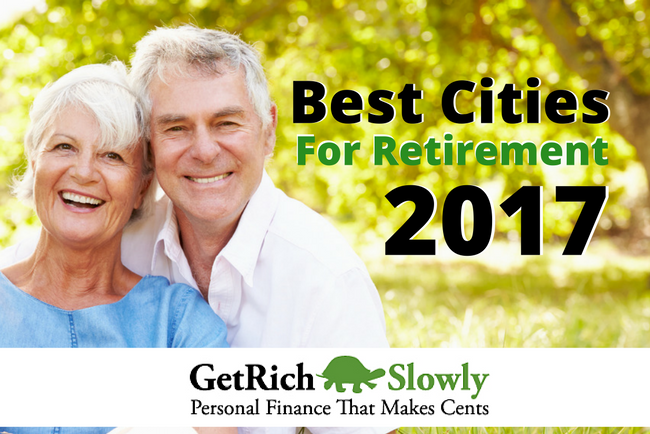 Getrichslowly.org ranked the 20 best cities for retirement to help you decide where to spend your golden years, coming up with a diverse list, with choices that span across the country. There are some names on the list you might expect, and some that will probably come as a big surprise. The study looked at where 113 major U.S. cities ranked on each of those criteria, and then averaged those rankings to come up with a list of the 20 best cities for retirement. With reputations misleading at times, the quantitative approach taken for this study and objective look at the data might cause you to consider a location you would not otherwise think of as a retirement haven. 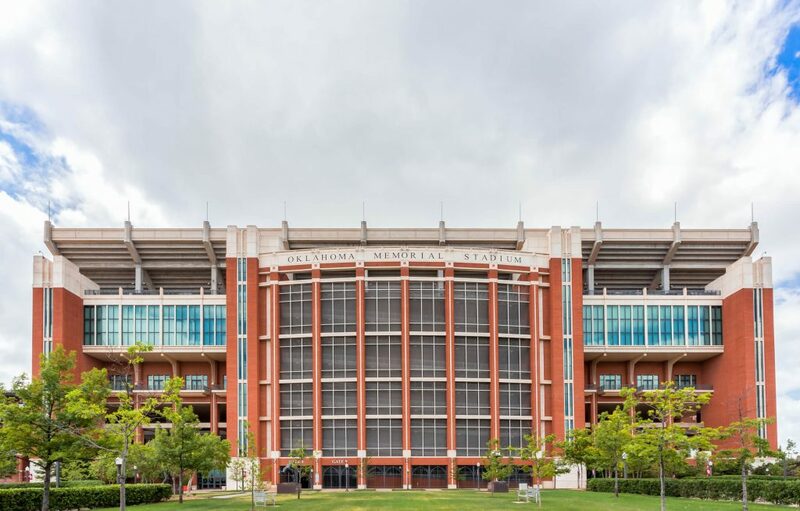 A college town like the home of University of Oklahoma might not be an obvious choice for a retirement destination. However, an influx of young, well-educated people provides both economic stimulus and cultural diversity to add life to a community. But why did Norman in particular win the top spot on this list? It was above average in each of the four categories examined, and outstanding in two of those categories: cost of living, where it was the second most affordable, and safety, with one of the 10 lowest crime rates. 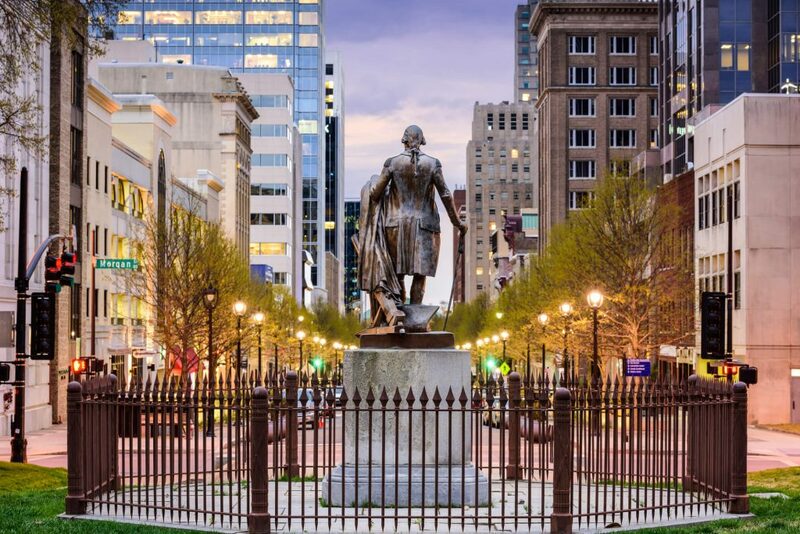 As part of North Carolina's thriving Research Triangle, Raleigh offers healthy growth and a lively cultural and recreational environment. Quantitatively, it placed in the top quartile for safety, affordability and its moderate climate. Also, North Carolina's property taxes are generally well below average. This is one of the more traditional retirement locations on this list, offering a warm climate and proximity to beaches. 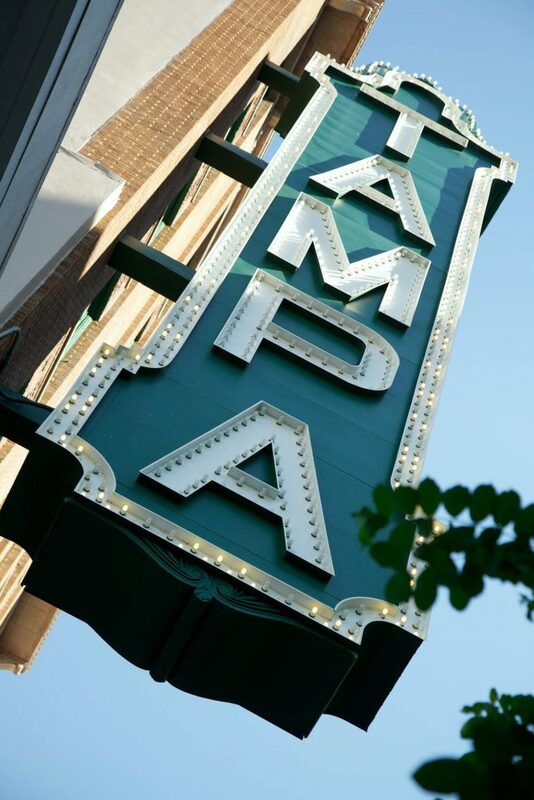 With its major league sports and plenty of cultural options, Tampa also offers a big-city feel. In terms of the data looked at for this study, Tampa had the most moderate climate statistics, as measured in terms of avoiding extremes of temperatures and rainfall. It also ranked in the top 15 percent for safety, based on violent and property crime rates. 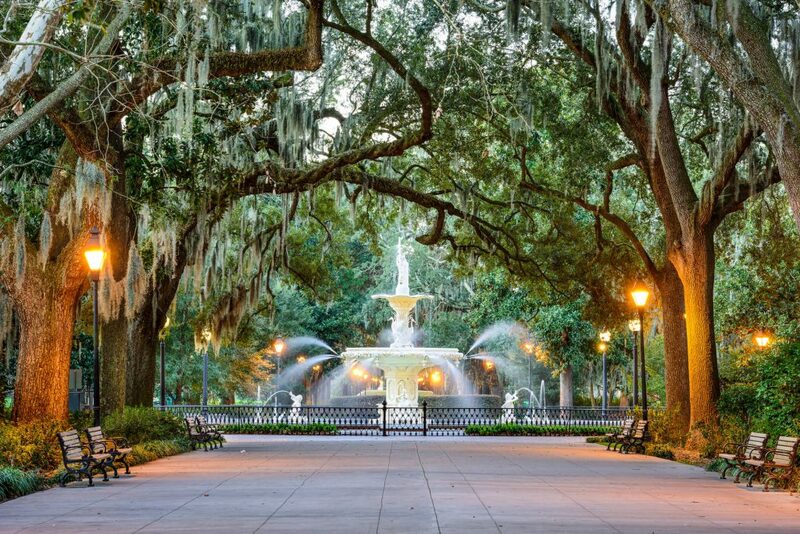 The coastal city of Savannah is so well-regarded for its beauty and architectural landmarks that it has become a popular locale for filming movies and television programs. As for what it can offer to retirees, the greatest strengths identified by this study were its safety and moderate climate, with Savannah ranking in the top 20 percent in both categories. It also is an affordable place to live, with Georgia's property tax burdens and the overall cost of living in Savannah being lower than average. 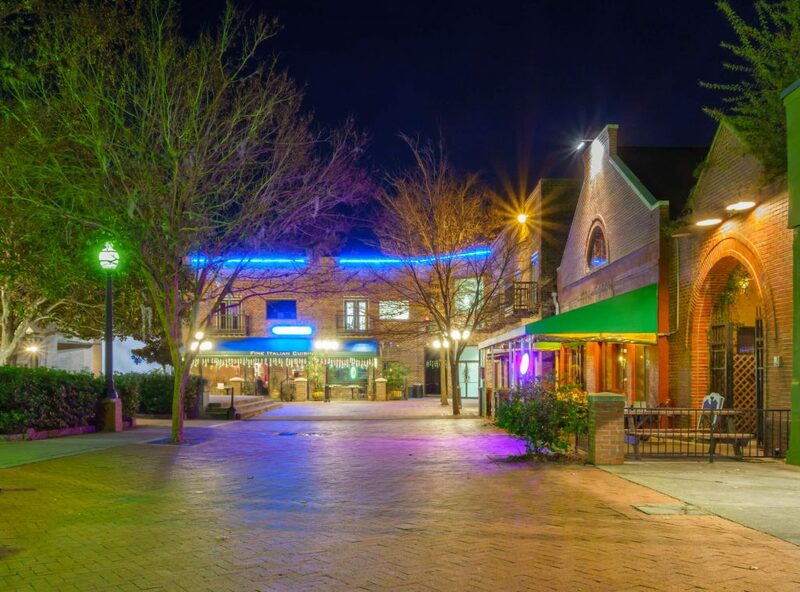 Whether your vision of how you like to spend time in retirement involves a leisurely stroll through a rose garden, checking out some live music, or sampling some distinctive local cuisine, this Louisiana city has something to offer a variety of lifestyles. The study's statistics show Louisiana generally has some of the lowest property tax burdens of any state. 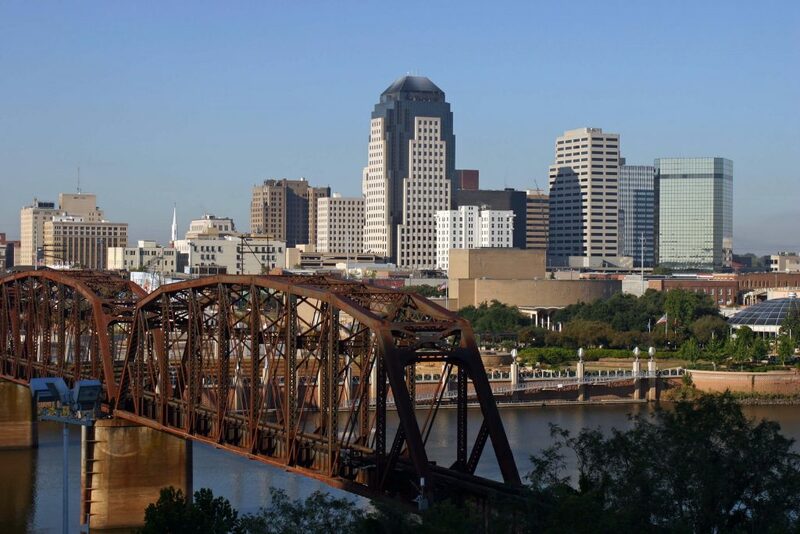 In addition, the cost of living in Shreveport is well below the national average. One caution though: Shreveport's overall crime rate is a little higher than that of most cities in this study. Related -> How much do you need to save for retirement? 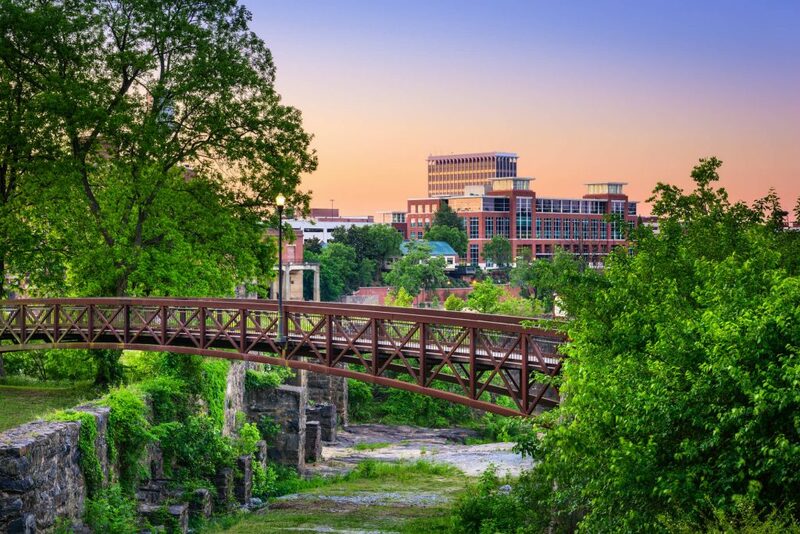 Since Durham is generally thought of as a sister city to nearby Raleigh, it is no surprise that it should also earn its way onto this list. 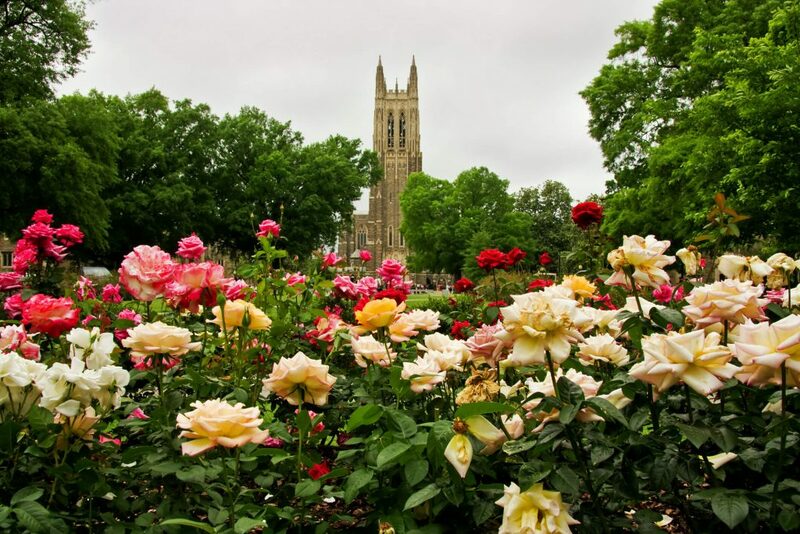 Naturally then, Durham shares many of Raleigh's favorable characteristics, though its higher crime rate (while still below that of most cities studied) pushed Durham further down in the rankings. Most readers will probably find this to be one of the more obscure names on the list. However, that is one of the merits of crunching the numbers – it can unearth some previously unlikely retirement possibilities. 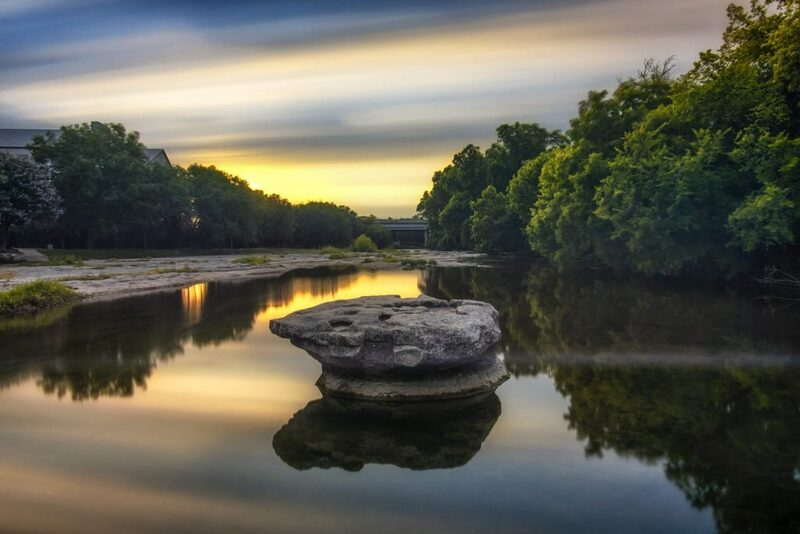 Round Rock is very close to Austin, so it shares many of the latter's attractions, but with a much lower crime rate and a lower overall cost of living. 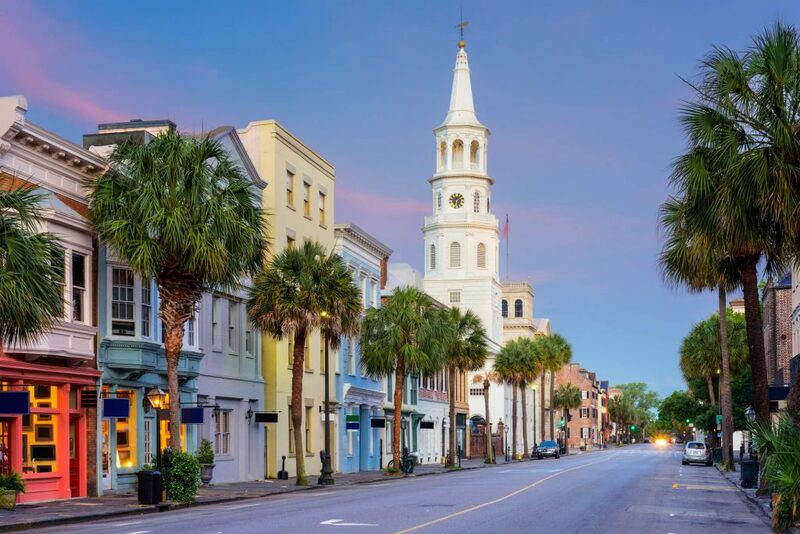 History buffs will appreciate Charleston's colonial architecture, while outdoors types will enjoy the fact that Charleston is convenient to both the Atlantic Coast and Francis Marion National Forest. Statistically, what stands out about Charleston for retirees are its low crime rate coupled with South Carolina's generally low property taxes. Be advised though that despite those low taxes the overall cost of living in Charleston is a little higher than in most of the cities studied. 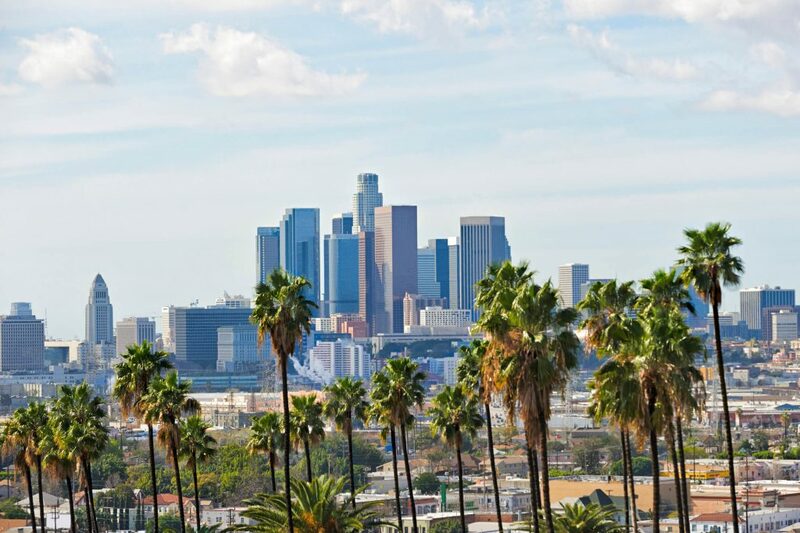 The first West Coast city on this list, L.A. has many well-known attractions. Still, you might think that L.A. is too big a city to be very retirement-friendly, but the stats show it has a few things going for it. Perhaps surprisingly, it ranked in the top 5 percent for safety due to its low crime rates. Naturally, the Southern California climate is another plus, and L.A. also benefits from California's generally low property tax burdens. Those low taxes come in handy because, as you might expect from a city of its size, the cost of living in L.A. overall is among the most pricey found in this study. 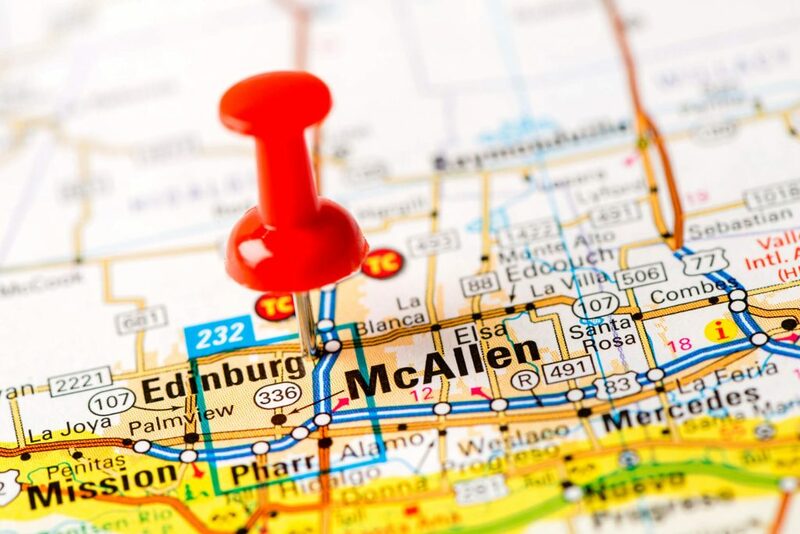 Arts and technology come together to enliven the McAllen community, and it benefits from its proximity to both the Rio Grande and the Gulf of Mexico. It scored well primarily on the strength of having the most affordable cost of living out of any city in this study. It's not a warm-weather site, nor is it located on one of the coasts. 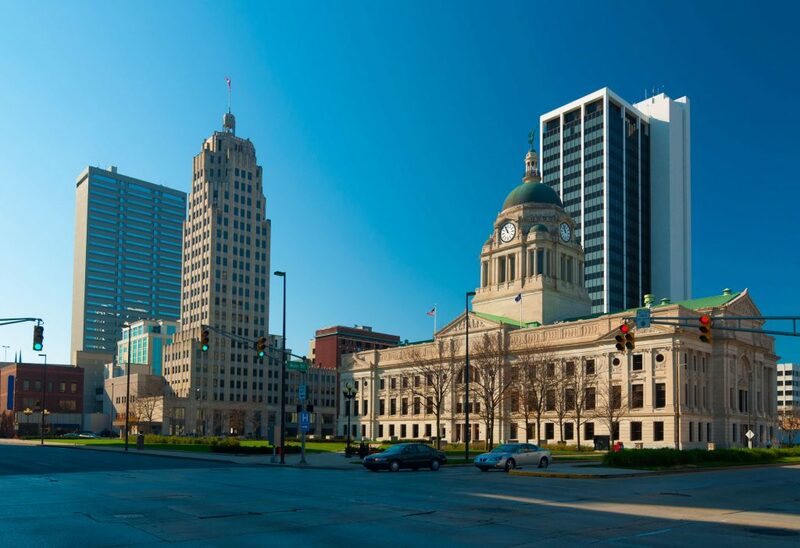 So what does Fort Wayne have to recommend it to retirees? Primarily affordability, as Fort Wayne was in the top 10 percent of most affordable cities in this survey. It also scored fairly well for safety. 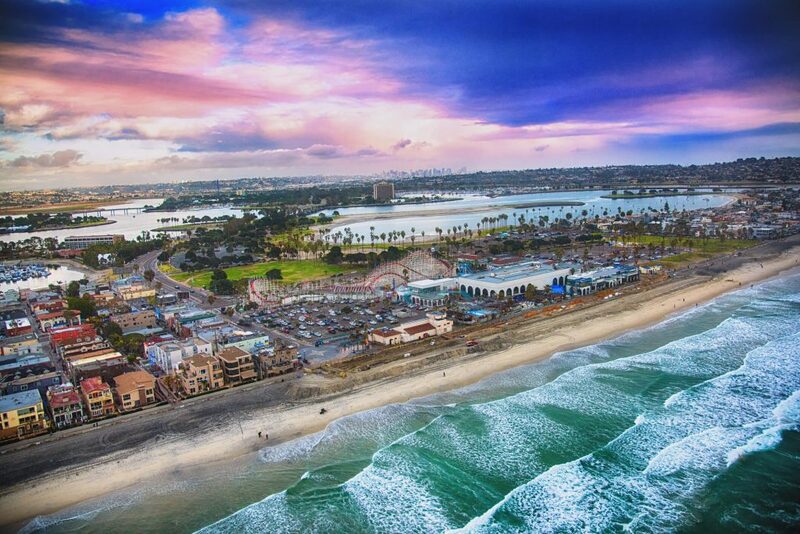 In contrast to Fort Wayne, San Diego is one of those cities many people would think of as a natural retirement choice. So why does San Diego rank below Fort Wayne on this list? Cost of living is the main issue as San Diego is one of the most expensive of the 113 cities studied. However, if you have the wealth to afford it, you might enjoy the fact that San Diego not only ranks in the top 10 percent for climate, but also for safety. North Carolina has the distinction of being the only state with three cities to make the top 20. 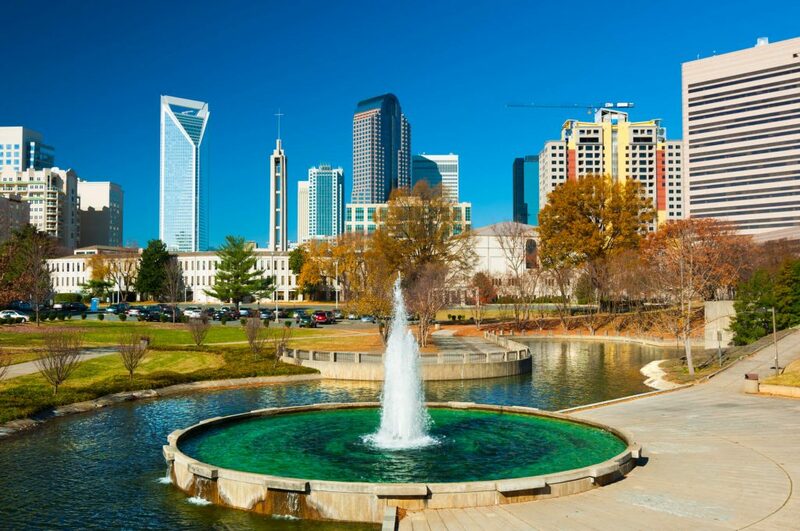 Charlotte combines a moderate climate with reasonably good rankings for safety and property taxes. The only flaw is the overall cost of living, which is a little on the high side. 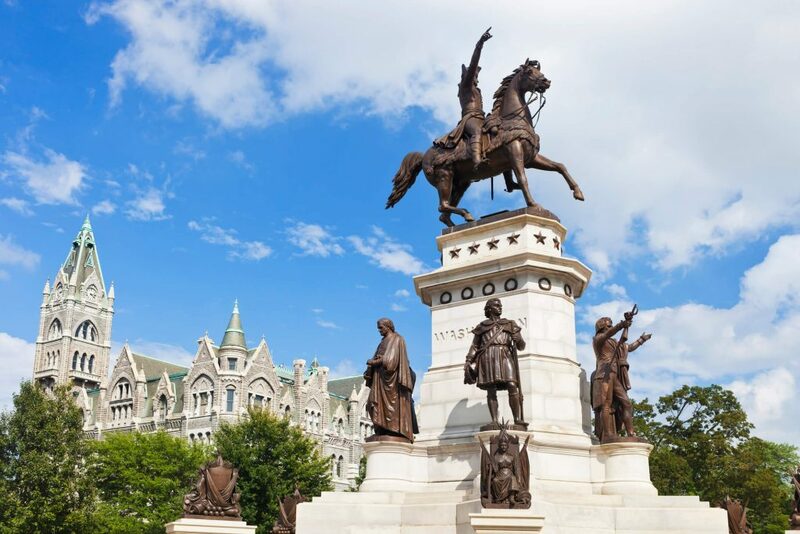 Lexington is close to the state capitol of Frankfort, and is also reasonably convenient to Louisville and Cincinnati. 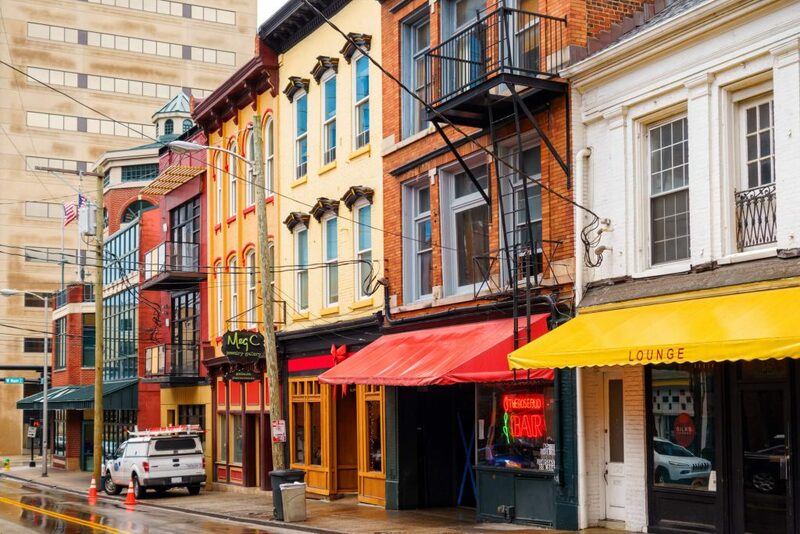 The primary thing that helped Lexington make the top 20 is the city's overall affordability, which is in the cheapest 20 percent of cities studied. Property taxes are relatively reasonable as well, and Lexington also ranked well on the basis of safety. 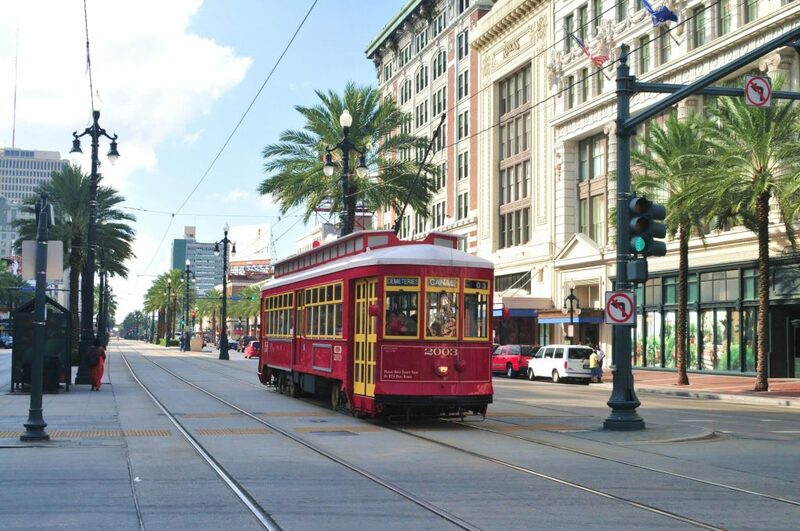 New Orleans is well-known as one of the world's premier party places and for being a veritable gumbo of multi-culturalism, but is it really a suitable place for retirees? Specifically, what about the high-profile crime issues New Orleans has had over the years? Surprisingly, the average crime rate in New Orleans is toward the safer end of the spectrum compared with other major cities, and New Orleans also has a cheaper-than-average cost of living. Most of all, retirees might appreciate Louisiana's low property taxes. This is one of the more surprising names on the list, and of course its climate ranks near the bottom. However, this is offset by a very reasonable cost of living and low property taxes, and most of all by safety. Boise's low crime rate put it in the safest 10 percent of cities. 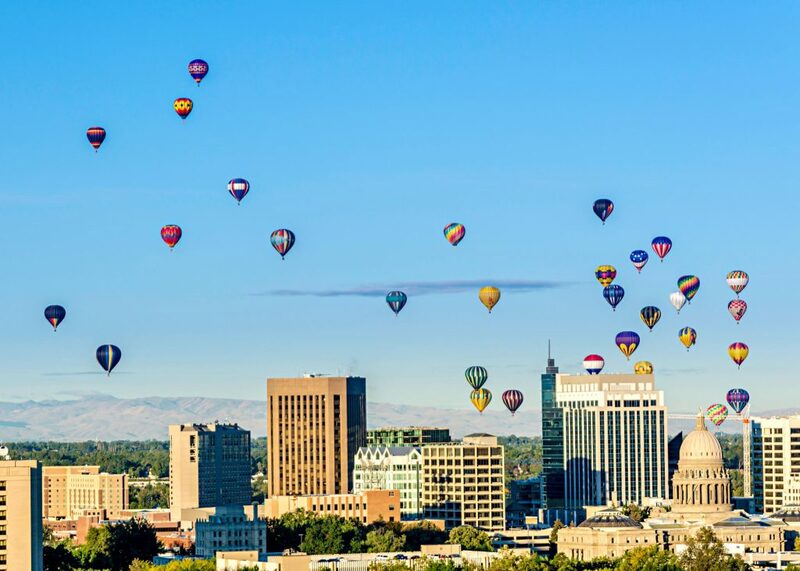 There are plenty of warm weather cities on this list if that's your priority, but Boise might be an off-beat choice if affordability and safety are more what you are after. With little or no employment income, many seniors find their biggest tax worry is property tax. 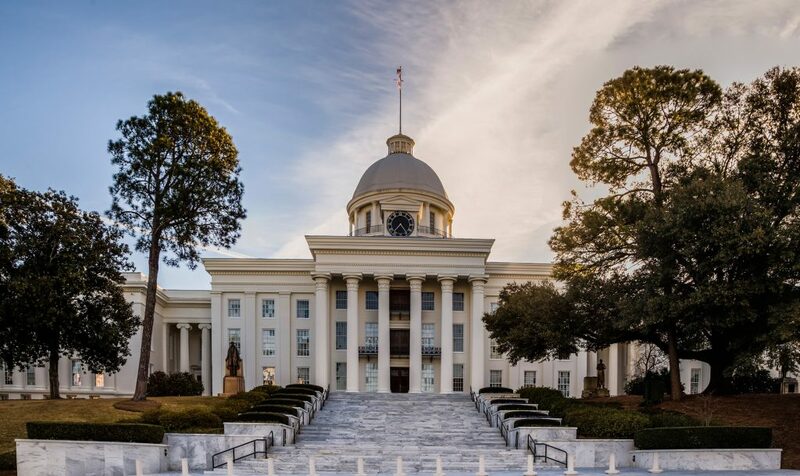 That could be a reason to consider retiring to Alabama, which on average has one of the lowest property tax burdens of any state. While not outstanding in any one area, Richmond made the list by being above-average in all four categories of this study: safety, property taxes, cost of living and climate. Gainesville scored well for its climate, which being in the northern part of Florida is less rainy than what you are likely to find in the southern part of the state. Columbus scored well for affordability and its moderate climate. Be advised, though, that it is in the bottom half of the rankings for safety. Again, there are some surprises on this list, along with more conventional retirement locales. That diversity is a benefit for retirees – not everybody's priority is to move near a beach, so this list provides you with solid candidates representing a variety of very different lifestyles. Comment: Did your city land on the Best Cities for Retirement? Where are you planning to retire? Low mortgage rates unleashed a massive wave of refinancing that was a windfall for millions of consumers, but what will happen once those unusually low mortgage rates are gone? Will refinancing mortgage loans effectively be sidelined as a financial resource for home owners? Rising interest rates can mean many things for the U.S. economy, but one thing is always certain when it comes to homeowners: when rates go up, refinancing goes down. With the Federal Open Markets Committee — the 12-member group that helps decide monetary policy as part of the Federal Reserve — set to meet on Dec. 13 and 14, mortgage rates could be on track to do something they have rarely done in recent years, which is to move higher. While a rise in mortgage rates is not ideal for the home refinance market, it calls more for a shift in tactics rather than completely giving up on the idea of refinancing. Shift to a shorter loan. 15-year mortgage rates have been running about 80 basis points below 30-year rates, so even if rates overall have moved a bit higher, there might still be room to lower your interest rate by shifting to a shorter loan. Also, even without dropping your rate a shift to a shorter loan should save you interest costs in the long run because you will be paying interest over fewer years. Consider variable rates for short time horizons. If you anticipate being able to pay of your mortgage in a few years, consider a shift to an adjustable-rate mortgage (ARM). These offer even lower rates than 15-year loans, and if you choose an ARM with a long initial reset period, you can reduce your exposure to rising rates. Take advantage of improved credit. The job market has gotten stronger in recent years, and now that you're a few years older perhaps your income and credit rating have improved from when you first got your mortgage. If so, this might help you qualify for a lower mortgage rate, and make refinancing worthwhile even though average rates have started to rise. Use refinancing for payment management. Lowering your mortgage rate is not the only reason to refinance. If you are having trouble making your monthly payments, refinancing to a longer repayment period can help make those payments more manageable. Even though this is likely to result in you paying more interest over the life of the loan, it is preferable to risking default. Another option is using cash-out refinancing for debt consolidation, because mortgages are still cheaper than most other sources of debt, such as credit cards. Do some comparison shopping. When rates are on the move, comparing mortgage quotes from different lenders becomes especially important. Different lenders are going to react to a rising rate environment at different times and to different degrees, so shopping around might make an especially big difference. Most of all, a rising rate environment calls for decisiveness about mortgage decisions. If you see a worthwhile opportunity, you need to act before higher rates eliminate that opportunity. There is no shortage of retirement saving advice out there, but do you find it's hard to find advice relevant to your situation when you need it? If so, this guide should help. This is not financial advice for the rich and famous. As much as financial professionals like to write about the more exotic vehicles and tactics out there, those things have no relevance for most people. This guide is focused on the important fundamentals ordinary wage earners can apply. So, if you are looking for the latest thinking on private equity or offshore tax havens, this isn't the guide for you – but if you are in those markets you probably have advisors who do that kind of research for you anyway. Financial advice changes as you go through life. The moves you need to make as you approach retirement differ from those that make sense when you are first starting your career. For ease of reference, this guide is set up by decade of age, providing suggestions for people in their 20s, 30s, 40s, 50s, 60s, and 70s. Know your student loan terms. You know that student loan debt is lurking out there, so better make a plan for dealing with it. Don't be depressed by the sheer amount of it – the whole point behind a loan is to take an overwhelming sum of money and spread it out into manageable payments. Know what your payments are and when they start. Also understand any programs that can ease this burden. For example, federally-backed student loans – and most student loans are backed by the federal government – allow you to sign up for a plan that will limit your payments to 10 percent of your income. This should make your debt burden very manageable even if you are not making much money yet. Implement a budget. Financial success does not happen by accident – it takes planning, Eventually, that will include some long-range retirement planning, but for now just make sure you are in control of your spending from month to month. Budgeting doesn't just help you manage your money, it helps you hang onto more of it by allowing you to minimize charges that result from overspending, such as overdraft fees and credit card interest. Leave room for saving money. When you create your budget, don't just include the obvious bills you have to pay, such as rent, food, and utilities. Those things are necessary, but they involve paying other people. Also leave room for paying yourself by allocating some of your income to savings. If you devote a percentage of your income to savings from the very start, then it will seem less jarring to gradually increase your savings as your income grows. Set up direct payroll deposit into a savings account. One way to make sure a portion of your pay actually makes it into savings is to have your pay directly deposited into savings rather than a checking account. You can still move some money from savings into checking for easier access, but doing this rather than having all your pay go directly into checking will encourage you to transfer only a budgeted amount. Meanwhile, this will allow your savings to start earning interest sooner than if you had to wait until you transferred accumulated money from your checking account. Establish – and safeguard – credit. Some people go a little overboard when they first get access to credit in their early 20s, and can spend years paying off the results of overspending. More cautious people shy away from using credit, almost to a fault. 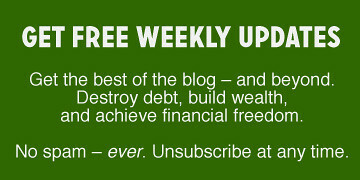 The best course for long-term financial health is somewhere in between the extremes. Use credit, but be sure to pay it off on time and in full. Responsible use of credit will allow you to establish a favorable history that will make it cheaper to borrow money when you need to later, such as when you buy a house or a car. Find banks that do the most for you. As you set up your banking relationships, be mindful of the fact that banks offer very different account terms. For example, most checking accounts these days charge a monthly maintenance fee just for having an account, but there are still some checking accounts that don't charge those fees so it's worth looking around (here's a tip – your chances of finding free checking are much better if you look at online banking). Also, savings and CD rates can vary from one bank to another, with some banks offering several times as much interest as others. Consider what you need from a bank, and then look for accounts that offer you those services on the most favorable terms. Sign up for your employer's retirement plan. Retirement may seem to be a long way off, and early in your career you might not have much spare money to devote to long-term saving. Even so, if your employer has a 401k or similar plan, sign up to direct at least a token amount into that account automatically. Having money go directly from your paycheck into a retirement plan is a great way to start the savings habit, and it may make you eligible for matching contributions from your employer, which is basically like getting free money. Use retired debt to jump-start retirement savings. If you've been paying off a student loan, you are used to doing without the portion of your paycheck that's been going towards those payments. Once the loan is paid off, use the amount that had making those payments to add to your retirement savings. You won't miss money you haven't been able to use anyway, and now at least those payments will be going towards your future rather than to the loan company. Maximize your employer's retirement contribution match. Ideally, you should be working towards contributing the legal maximum to your 401k or other retirement plan, but at the very least you should be contributing enough to get the full amount of employer matching contributions. Otherwise, you are leaving money on the table that you have a right to. Consider augmenting your employer's plan with an IRA. Once you start maxing out your 401k contributions, you may be able to supplement those retirement savings with an Individual Retirement Arrangement (IRA). Be sure to check eligibility limits, which are subject to income ceilings. Also, keep in mind that money going into any retirement plan, whether it is a 401k or IRA, is a long-term commitment. If you take money out before you reach age 59 1/2, you will pay a 10 percent penalty on top of any normal income tax liability. Decide between a traditional and a Roth IRA. The basic difference is that with a traditional IRA you can deduct your contribution and not pay taxes on the account until you start to draw money out of it. With a Roth IRA, you pay taxes upfront but then the money can grow tax-free and you will not pay taxes when you start drawing money out upon reaching retirement age. To a large extent, the choice comes down to judging whether you are likely to be in a higher or lower tax bracket when you retire than you are now. Since many young adults are still earning relatively low wages, it may make sense to choose a Roth IRA while you are still in a low tax bracket. Do some preliminary retirement planning. The most important thing is just to start money flowing into retirement savings, but at some point in your 30s you should use a retirement calculator to do some projections to figure out how much you will need to save so you can afford a comfortable retirement. After all, you can't hit a retirement target if you don't know what that target is. Bring retirement contributions up to speed. Once you have figured out some preliminary retirement saving targets, work out a plan to bring your contributions up to those targets. If money is tight now, a good method is to devote a healthy chunk of future wage raises to retirement savings. That way you won't feel as though your take-home pay is taking a step back when you boost your retirement deferrals. Get investments in line with your time horizon. 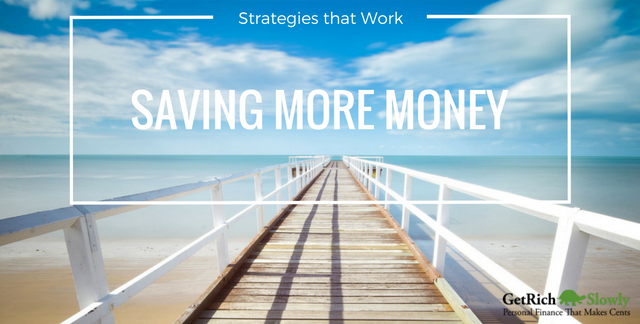 As savings start to build up, you need to give more thought to how to invest those savings. Given the long time until retirement, the majority of your investments should probably be in long-term, growth-oriented assets like stocks. Re-evaluate your banking relationships. Periodically, take a fresh look at your line-up of bank accounts. This is to make sure they are still competitive, and because as your financial situation changes, what you need from a bank might also change. OK – no more excuses. As you enter your 40s, you should be hitting some of your prime earning years, plus you are getting ever-closer to retirement age. It's time for your retirement saving to shift into high gear. Re-calibrate your retirement targets and your life style. Just because you did some retirement planning when you were younger doesn't mean those targets will still fit your plans in your 40s. You now know more about your earning ability and your life style than you did when you were in your 30s, so it is time to update your retirement plan. Consider switching to a traditional IRA. As mentioned in the section for people in their 30s, the choice between a traditional and a Roth IRA largely depends on whether or not you are currently in a high tax bracket. As you move into your 40s and your earnings improve, you may find yourself moving into higher tax brackets. This may justify holding off on any further Roth IRA contributions in favor of starting a traditional IRA. Adjust contribution levels annually according to progress. It is important to recognize that retirement planning is not an exact science. One of the most undependable variables is the investment returns you earn on your savings. Be sure to check progress towards your goals at least annually, so you can boost contributions to catch up if your investment returns have been disappointing. It is important to make these adjustments before your retirement savings get too far behind schedule. Don't back off if you get ahead of schedule. A big mistake people made in the late 1990s was to go slow on their retirement plan deferrals because the stock market was performing so well that they were able to build wealth without having to sacrifice much of their paychecks. Unfortunately, those missing contributions from the prosperous years would have come in handy during what has proven to be an extended period of disappointing market returns during the 21st century. If a good investment year puts your retirement savings a little ahead of schedule, don't take it as a sign to coast. Keep up the contributions, and view the extra returns as a cushion against potential disappointments in the future. Consider using a Health Savings Account to accumulate long-term savings. 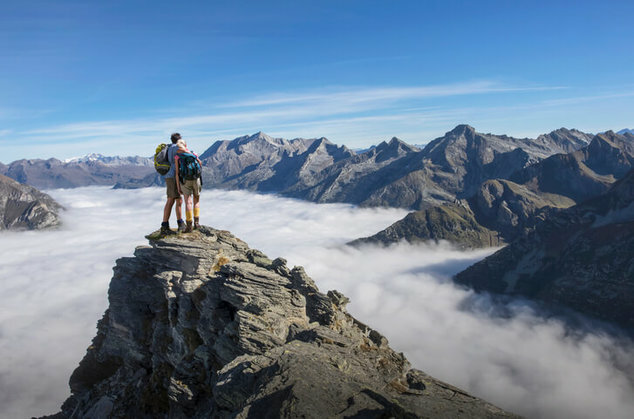 If you have hit the limits for 401k and IRA contributions, you can accumulate additional tax-advantaged savings via a Health Savings Account (HSA). To be eligible you have to be participating in a High Deductible Health Care Plan, but unlike what many people think, money in an HSA does not have to be used exclusively to pay plan deductibles and other immediate health care expenses. Money in an HSA can continue to grow tax free, and you don't even have to pay taxes on it when you start to withdraw from the account, as long as the money is used for qualifying medical expenses. Given that health care is a major expense in retirement, you should be able to put your accumulated HSA money to good use eventually. Check your progress towards targets. Given all the variables involved in retirement planning, the passing years represent a considerable amount of time for things to get off track. As time goes by, it is important to keep re-checking your progress to see if any remedial action needs to be taken. Take advantage of “catch-up” contributions. Once you reach age 50, you may be eligible to make so-called “catch-up” contributions to your retirement plan. These are additional contributions over the usual dollar limits that applies to younger contributors. For example, for 2017 people aged 50 and over at the end of the calendar year can contribute an additional $6,000 to a 401k plan, or $1,000 to an IRA. This is an important extra tax benefit that older workers should try to utilize. Embrace a key benefit of age – discounts. People in their 50s often feel young enough to want to resist the idea of aging, but there are certain aspects of it you should embrace – namely discounts and special deals. From preferred pricing on many purchases to no-fee checking accounts, there are a number of money-saving offers that you will become eligible for in your 50s. Reassess your retirement time horizon. By now, you will be in a position to know a lot more about how much longer you will want – or need – to work. This is based both on how you feel physically and emotionally, and on your financial condition. If you now plan on retiring significantly sooner or later than originally planned, your retirement plan will have to be adjusted to reflect this new time horizon. Consider when to adjust your asset allocation. As people approach retirement age, they often start downshifting to a more conservative asset mix. You may not be ready to do this just now, but based on your planned retirement age you should start anticipating when to begin this transition. This a transitional decade for many people, as they pass from active careers to part-time work or retirement. Here are some steps that process entails. Plan for when to access Social Security. You can start receiving Social Security benefits at any time between age 62 and age 70, and the longer you hold out the bigger your benefit will be – though of course, it will also be received over fewer years. When you should apply to begin receiving benefits depends on your immediate needs, of course, but it also depends on your health and your marital status. Make a sustainable plan for drawing on retirement savings. Beyond Social Security, you may have other retirement savings that you will start drawing upon in your 60s. Since you don't know how long you are going to live, come up with a plan that draws on these savings at as sustainable a rate as possible, so you don't use them up to quickly. Consider career extension options. Some people have a need to keep working, while others have a desire to. Think of things that might help you extend your career, such as a downshift in responsibilities, cutting down on hours, becoming an independent contractor, or perhaps tapping into an entirely different skill set. Look into switching back to a Roth IRA if you are continuing to work. If you switch from a full-time career to a part-time job, the resulting drop in income may place you in a lower tax bracket. If you are continuing to contribute to an IRA, see if the tax bracket change means that switching to a Roth IRA makes sense at this point. At this point, your emphasis has probably shifted from building savings to preserving them. Here are some moves to help preserve your retirement savings through your 70s and beyond. Set up required minimum distributions. Most tax-advantaged retirement plans require that you start taking at least a minimum amount out of the plan by age 70 1/2. Make sure you are set up to meet this requirement, but remember, just because you are required to take the money out does not mean you have to spend it. If the required minimum distributions exceed your immediate needs, preserve the money as after-tax savings, because you might need it in later years. Make sure investments are aligned with liquidity needs. As you start to draw money out of retirement plans and other savings, make sure that money is invested in things that will provide sufficient liquidity when it comes time to make your withdrawals. Research long-term care and payment options. Later on, should you need to enter an assisted living or managed care facility, you will find these arrangements can be very expensive. It pays to plan ahead, because it is much easier to gain admittance to such facilities when you are still able to pay for it yourself than if you become dependent on Medicaid. Set up a burial trust. Becoming eligible for additional government assistance generally requires that you first draw your savings down to a minimal amount. A burial trust is exempt from this requirement, and so allows you to provide for your funeral without leaving the burden to family and friends. While young adults often assume retirement saving is primarily a concern for older people, notice how there are more new moves to make in your 20s and 30s than later in life. This is typical of the fact that the earlier you start retirement savings, the more options you have for positively impacting your future. 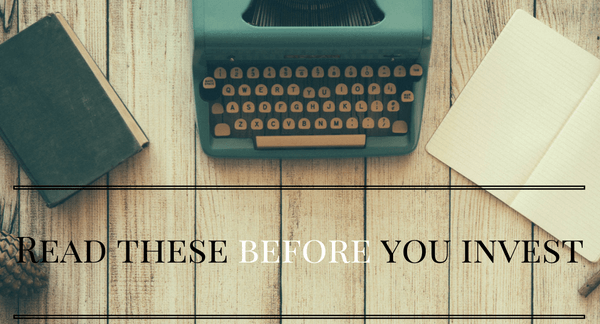 Start now, and then stay on the path as you move through your career. What is a 702 Retirement Account? Most people hate to pay taxes. That's not hard to understand. What is baffling is the length people will go to avoid taxes – sometimes, the cost of avoiding taxes exceeds the taxes themselves. The reason this happens is that for some people, all they have to hear is that a scheme will help them avoid taxes, and they are on board. Remember though, avoiding taxes should not be your ultimate goal. The idea is to earn the best after-tax return. That means avoiding taxes is only worthwhile if the cost and risk involved don't diminish your investment return too much. These are important issues to examine if you are considering a Section 702 retirement account. What is a 702 retirement account? It is commonly pitched as a way to accumulate retirement income, tax-free. The real story, though, is more complicated than that. Technically, Section 702 retirement accounts don't exist. The popular name is a shortening of Section 7702, a portion of the US tax code which pertains to life insurance policies. At heart, that's what these 702 retirement schemes are – life insurance policies which accumulate cash value. Since life insurance benefits are free from income taxes, they can be a way to accumulate savings without paying taxes. Some policies allow you to access a portion of your accumulated benefit prior to death, which is how they can act as a source of retirement income. Sounds straight-forward enough, but there's a catch. Actually several catches. Premiums are not deductible. The tax-advantaged angle is simply that benefits accumulate and are paid out tax-free, but unlike contributions to a 401k plan or a traditional IRA, the premiums you pay into a life insurance policy are not deductible. This makes the tax characteristics of a 702 retirement program more similar to those of a Roth IRA, for which contributions are not deductible but investment earnings are not taxed. It's a long-term commitment. If you run into financial difficulties at some point, you may have to stop paying premiums. Depending on the terms of the policy this could substantially reduce or negate the benefits you accrue. In order for a 702 plan to deliver the advertised retirement benefits, you have to be able to commit to making the premium payments on schedule. The extra retirement income isn't really income. Any retirement income produced by a 702 program will reduce the ultimate benefit paid by the insurance policy, since it typically represents a loan or advance against the ultimate death benefit. Accessing that money may be costly. Borrowing against the death benefit is likely to entail an interest cost, which would reduce the ultimate benefit by more than you take out for retirement income. Interest rate risk is especially acute right now. The relationship between the premiums and benefit of the insurance policy would be based on current interest rates, which are very low. This means benefits would accrue at a slow pace. However, if you borrow against that benefit several years in the future, the interest rate by then may well be much higher. This means that the money you borrow could cost you interest at a higher rate than the pace at which benefits are accruing. The long-term return is murky. If that last point left you scratching your head, get used to the confusion. Assessing the benefit of a 702 retirement account depends on being able to figure out the rate of return implied by the relationship between the benefits and the premiums, and the length of time over which both are paid. Until you can figure that out, you don't really know if a given policy is better than conservative vehicles such as CDs or savings accounts, let alone long-term investments like stocks and bonds. In other words, you can't make a blanket judgement about whether 702 programs are good or bad – the answer depends on the specific terms of the insurance policy. There is a stroke-of-the pen risk. The tax-free status of payments out of a 702 retirement account depends on a bit of a tap dance. Benefits from life insurance policies are not taxable. By borrowing against those future benefits, the policy holder can get that tax advantage without having to actually die. This is precisely the type of loophole that tax reforms often target, so there is the risk that with the signing of a new tax law in the future the retirement savings aspect of these policies may become invalidated. There is also counter-party risk. When you have a bank account, your money is guaranteed by the FDIC. When you have a retirement investment account like a 401(k) or an IRA, there are specific assets held for your benefit. In contrast, an insurance policy represents a general obligation of the insurance company, so your benefits are only as secure as that insurance company. To be sure, there are strict rules governing how insurance companies fund their obligations, but as the last financial crisis demonstrated, these safety measures don't always hold up under pressure. Counter-party risk means that the arrangement is only as good as the party on the other side of the deal, in this case the insurance company. When you are contracting for benefits to be paid decades in the future, there is a lot of time for counter-party risk to become an issue. 702 retirement accounts don't appear to offer superior tax characteristics to more traditional retirement programs, such as a 401k plan or an IRA. A 702 program might be a viable option if you are already maxing out your allowable contributions to those retirement programs, and want to amass some savings over and above that. Even then, don't sign up for an insurance policy until you have crunched the numbers and figured out that its benefits are likely to offer you a better after-tax return on the premiums you pay than you would earn for CD rates or long-term investments. And, if you find the terms too complicated to understand, then walk away. Financial sales people often like you to feel that there is a mystery to complicated programs that makes them work. Usually though, in the end the only mystery in such cases is where your money went. Thirty-year fixed mortgage rates have dropped from above 6 percent to below 4 percent. This has touched off an unprecedented refinancing opportunity for homeowners. 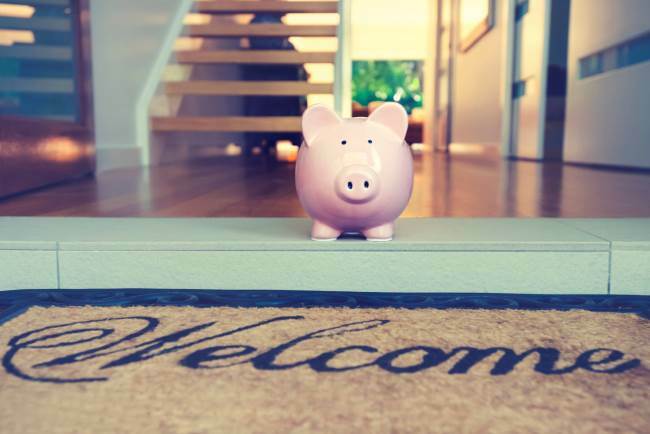 However, unless they learn to take a broader view of refinancing, those homeowners may be missing out on the biggest money-saving opportunities. By now, home prices have recovered to levels higher than at any time other than the peak years of the housing bubble. Between that and the principal payments homeowners have made over time, most should be finding that they are building up a healthy cushion of equity in their homes. The combination of that equity and some of the lowest mortgage rates in history may give many homeowners the option to refinance. However, to make maximum use of that equity and those low refinance rates, homeowners should consider refinancing other debts as well, since these are typically at higher interest rates. Using cash-out refinancing can enable you to take this broader view of refinancing, but there are some catches. The following walks through a full range of possible debts, and discusses the issues involved in incorporating each into a comprehensive refinance approach. Credit card debt. Credit cards typically charge interest rates that are more than three times as high as mortgage rates, so using cash-out refinancing to pay off credit card debt represents an opportunity to save a lot. The catch is that you would be trading unsecured credit card debt for debt secured by your home, so you need to make sure your spending habits are under control before you do this. Student loan debt. The government backs most student loan debt to keep interest rates reasonable, but you may still be able to save money by refinancing it with mortgage debt. However, you should only do this if you are confident in your job security, because student loan debt may have more flexible repayment terms in the face of financial hardship than mortgages do. Car loans. Auto loans generally carry higher interest rates than mortgage loans, so this might be a refinancing opportunity. However, the gap between the two types of rates has narrowed in recent years, which may mean it is not worth folding auto debt into a mortgage loan with a longer repayment period. Second mortgage. If you have a second mortgage, you should consider consolidating it into any refinancing analysis. Second mortgages generally carry higher interest rates than primary mortgages, though this depends heavily on when the loans were originated. First mortgage. While this whole discussion might seem to center on refinancing your primary mortgage, you should not start reviewing mortgage quotes until you have taken into account all of the above possibilities. That way you can choose the mortgage structure that best meets your broader refinancing needs. Keep in mind that debt consolidation should not be the ultimate goal of your financial management, but simply a means to an end. The real goal is to put your finances on a path to sustainable success, where you are building wealth rather than building debt. If you can put a budget in place that will get you to that goal, then making maximum use of low mortgage rates through a comprehensive approach to refinancing can help you get there more efficiently. A lot of things change as you start to rise up the income ladder. Most of them are good – the old junker is replaced with a comfortable new car, the apartment becomes a house, you order steak instead of a hamburger. At the same time, managing your money becomes more complicated. Savings strategies for high-net worth individuals can be different. Recognizing how that game changes as you start to earn more will help you make the most of your financial success. As you start to find there is regularly plenty of money left over at the end of the month, the recurring financial topic shifts from “how do I pay my bills” to “what's the best way to invest these savings.” To help you with this transition, the following will walk through some of the changes high-net worth savers encounter, and offer some advice about how to handle these challenges. A plain-vanilla savings account was fine when you were just trying to keep a little cash on hand for emergencies, but now you have think about meeting a variety of goals. Things like saving for a down payment on a house, funding your children's education, and building a retirement nest egg require different approaches, meaning you need a mix that includes both traditional savings accounts and more growth-oriented investments like stocks and bonds. According to the FDIC, the average interest rate on savings accounts is currently 0.06 percent. If you shop around, you might be able to find one closer to 1 percent, but there seems little point if you don't have much money in the bank. However, as your accumulated savings move from the hundreds into the thousands, those little yield differences start to make more of a difference. It is now more worth your time to shop around for a higher-paying savings account. As you set your mix of stocks, bonds, and savings accounts to prepare for future growth, keep in mind that your high earnings will create positive cash flow which may dilute growth. If you can anticipate cash flowing into the account regularly, you can probably afford a greater allocation to stocks, because your future cash flows will tend to compensate for the higher risk. The more wealth you accumulate, the more inflation becomes a bigger enemy. High earners can typically ride out the ups and downs of the stock market, but inflation can permanently erode the value of what they've earned. Trying to stay ahead of inflation means favoring a more growth-oriented asset allocation, and it also means moving ahead with major purchases such as a house in order to reduce the risk of prices rising more quickly than your wealth. As you look over your investments, there are two major types of variable to consider: asset class and tax status. It is important to coordinate them. Since high-net worth savers often max out their contributions to tax-deferred savings vehicles, they typically have taxable investment accounts as well. Allocate your assets so that those likely to produce the highest tax liability – such as income-producing bonds – are placed in tax-advantaged accounts to the extent possible. Mutual funds are an efficient way for early-stage investors to diversify their stock and bond investments, but as your investment capital grows, you might want to consider the possibility of a separately-managed account. This allows for more customization so you can do things like pursue individualized tax strategies, fine-tune investment guidelines, and implement social investing restrictions. What high-net worth savers find is that their financial situation tends to change more rapidly than it did when they were living paycheck to paycheck. This means it is vital to review your finances at least once a year. From finding better savings account rates to choosing more tax-efficient investment vehicles, more money means these decisions can have more impact. Sure, that's an extra burden, but never forget – it's a nice problem to have. What it is: This is a step-by-step guide to organizing finances structured as a trip through one calendar year with specific tasks for each month. The process is designed to help the reader progress from short-term tasks like dealing with current bills to longer-term planning like retirement saving and establishing a sustainable financial discipline. Why this is useful: You have to walk before you can run, and this book's step-by-step approach could help you start to put one foot in front of the other at the beginning of a financial journey. Managing finances can seem like impossibly complex, so breaking it down into individual components set out over a calendar schedule helps a person get started on specific, manageable tasks rather than getting intimidated by the bigger picture. What it is: This is an updating of a classic book by Graham, who is considered a father of value investing. As a nice bonus, this version also includes a preface and appendix by Warren Buffett. Why this is useful: Value investing can help an investor cut through much of the hype associated with the financial markets and look at individual companies based on their merits as ongoing businesses. It allows for a fundamental assessment of the future earnings potential of a company and a comparison of that potential with the current market price. What it is: This book is guide to a variety of real-world financial essentials, written with a focus on the generation that is just now coming of age and having to deal with money decisions for the first time. It covers basics such as the characteristics of different types of bank accounts as well as the nature of stock, bond, and commodity investments. It weaves those investment topics into a broader discussion of financial literacy including budgeting and managing credit. Why this is useful: Millennials are entering the job market with an unprecedented amount of student loan debt. They cannot afford to compound that by making some of the financial mistakes that young adults often make when first starting out. This book is comprehensive enough to empower a new wage earner to start to feel in control of personal finances. What it is: This is widely regarded as a classic, by one of the most respected figures in the investment industry. Ellis gives newcomers an insider's view of the financial markets in the hopes they can avoid some of the pitfalls that await the typical investor. Why this is useful: Any new investor needs to understand that to a large extent, the financial industry is set up to make money at their expense. As much as anything else, making money in the markets is about avoiding costly mistakes such as paying excessive fees or falling victim to damaging investor psychology. This book arms investors with the knowledge they need to be prepared for those potential traps. What it is: This can serve as a detailed primer to the concepts and jargon around which the financial markets operate. This book seeks to serve as a user's guide to investments by demystifying some of the complexity which often scares off would-be investors. Why this is useful: It is instructive to have an introductory “how-to” guide to various asset classes and broader concepts such as economics and retirement saving. Even more so, this type of book can serve as a handy reference that investors can tap into when specific subjects come up in their lives. What it is: This is a wide-ranging overview of the history and key theories of capitalism, with a focus on the underlying forces that impact economic growth and financial markets today. Why this is useful: History never repeats itself in exactly the same way, so understanding the reasons behind economic developments can help you interpret how new and different developments might impact your job situation and retirement savings. All of the titles listed above are available on Amazon.com, and in many cases from other major booksellers as well. Investing is a life-long learning process. Reading some or all of the books described above could help you get that process off to a strong start. Richard Barrington is a personal finance expert, a Certified Financial Advisor and a 20-year veteran of the financial industry. He has written extensively on investment topics, including investments, money market accounts, certificates of deposit, and personal finance as it relates to retirement and has been quoted by numerous top media publications. It's a common question, but there is no one answer to it. The right investment decision depends on the circumstances, and circumstances change over time. For example, the right way to invest can vary depending on how much money you have available. To look at how the size of the investment should guide your approach, consider the different actions you might take with $1,000, $10,000, or $100,000 to invest. Safety first. When you are first starting to build savings the last thing you want to do is take a step backward, so safety is a primary consideration. A deposit account at an FDIC-insured bank will give you absolute certainty of not losing money. Savings account or CD? Savings accounts (or money market accounts, which are essentially the same thing) are an obvious choice for money you might have to tap into unexpectedly, but don't rule out the possibility of a CD. A savings account allows you to access your money immediately without penalty, while a CD requires a commitment for a specified period. If you need to take money out before the CD's term is up, you will probably have to pay a penalty. On the other hand, CDs (especially longer-term CDs) typically pay more interest than savings accounts. In many cases, as long as you don't have to break into the CD within the first few months, higher CD rates can more than compensate for the potential penalty. What this comes down to is weighing the probability that you will need to tap into the account against the size of the penalty. Shop around. Savings account and CD rates vary greatly from one bank to another. With a little shopping around, you should readily find savings accounts offering more than ten times as much interest as the national average. You you can also find CD rates that are significantly above average. Investing the time to shop around upfront can then pay off in higher interest earnings month after month. Look at fees as well as rates. Interest rates have traditionally been the focal point of shopping for deposit accounts, but banks are increasingly charging for seemingly standard services like paper statements on some savings accounts, so be sure to consider fees as well as rates when choosing an account. At today's low interest rates, a fee might easily negate all the interest you earn on a savings account. As for CDs, those early-withdrawal penalties also vary from bank to bank, so make this a point of comparison when shopping for a CD. Consider online banks. Online banks can help you earn more interest in two ways. First of all, not being limited to your local banks gives you more choices, especially if you live in an area where there are few banking options. Second, online banks typically offer higher interest rates than traditional banks. Having customers bank online represents a cost savings to the bank, because they don't have to staff and maintain branch operations for those accounts. In many cases, banks are willing to pass some of these savings along to their customers in the form of higher interest rates. Don't rule out the traditional bank branch, but be sure to include online banks in your search and let the best rate win! Keep building. Depositing $1,000 is a great start but your goal should be to continue to build savings from there. Keep adding deposits regularly, and if possible have your paycheck directly deposited into a savings account. This way you can pay yourself a monthly allowance out of savings to pay expenses, but you will be making sure that every paycheck adds something to your savings. Define your goals. Your investment choices should largely be determined by your financial goals and the time frame of those goals. Are your savings earmarked to buy a car next year, to put towards a down payment on a house in five years, or to retire in thirty years? Determine your priorities so you can make investments that match your goals. Invest or pay off debt? Do you have student loan debt hanging over your head, or did you let your credit card spending get a little out of hand in the past? Sometimes, the most profitable investment is to pay off debt. Especially if you have high-interest debt like credit card debt, you could probably save more money by paying it off than you could earn by investing. Understand the respective roles of stocks, bonds, and cash. Stocks, bonds, and cash all have particular characteristics that make them suitable for different types of needs. Cash or cash equivalents such as savings accounts don't earn much of a return but they allow you immediate access to your money, so these investments are suitable for short-term needs. Bonds are likely to pay higher interest rates than deposit accounts, but are subject to some fluctuations in value between now and their maturity date. These can be suitable for intermediate goals like a buying a car or putting a down payment on a home if you match the maturity date with the timing of your need for money. Just be advised that there can be a significantly higher default risk in anything other than US government bonds. Finally, stocks subject your money to the greatest risk, but they also have the highest return potential. That return potential can help you stay ahead of inflation over the long run. Because of their variability, stocks are best suited to long-term needs, at least five years in the future. Consider tax-advantaged vehicles. If you are saving for retirement, consider a tax-advantaged vehicle such as an IRA or an employer's 401k plan. A 401k plan allows you to contribute more annually than an IRA and may also include some matching funds from the employer, so in many cases this should be your first choice for retirement saving. The tax advantages of these accounts requires a commitment on your part though, because there is a tax penalty if you access the money before reaching retirement age. Segment your savings by purpose. Your savings are now big enough to work towards multiple goals, so you should identify those goals and segment those savings accordingly. For example, you might have a three-year CD earmarked for a down payment on a house, while you also have assets in a long-term mutual fund building towards retirement. Consider whether a Roth or Traditional IRA is the right fit. If you set up an IRA, you have a choice between a Roth and a traditional IRA. A Roth is funded out of money you have already paid taxes on, while with a traditional IRA you don't play taxes until you start to draw on the money in retirement. Choosing between the two often comes down to a judgement of whether you are in a higher tax bracket now than you are likely to be in when you retire. If your tax bracket is higher now, a traditional IRA can allow you to defer taxes until you are in a lower bracket. If you think your tax bracket will be higher when you retire, then it might be better to pay the taxes now and put your money into a Roth IRA. Build education savings if you have kids. If you have children, you can get some tax advantage by saving for their education via a section 529 plan. Contributions to these plans are not deductible, but you don't have to pay tax on the investment earnings in the plan. Just be sure not to contribute more than you are likely to need, because proceeds from these plans have to be used for qualified tuition expenses. Diversify your investments. As your investments grow, it becomes more important to limit your exposure to any one security. This means diversifying your investments – owning multiple asset classes and several stocks rather than a heavy weighting in just one or two. At $100,000, the most efficient way to diversify is via a mutual fund. If you don't want to make a lot of individual investment decisions a life cycle fund can be a good way to get diversification across multiple asset classes suited to your stage of life. Different approaches for different amounts of money mean you should revisit your investment strategy from time to time as you ramp up your savings. 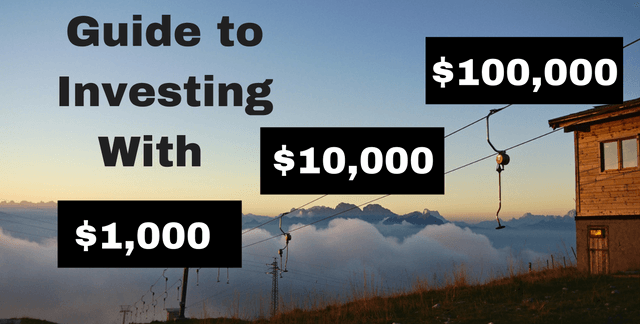 An approach that was fine for a $1,000 investment might not be sufficient when you reach $100,000 – but that's a nice problem to have. You are probably right. Oil prices are notoriously cyclical, what goes up tends to go down, and vice versa. 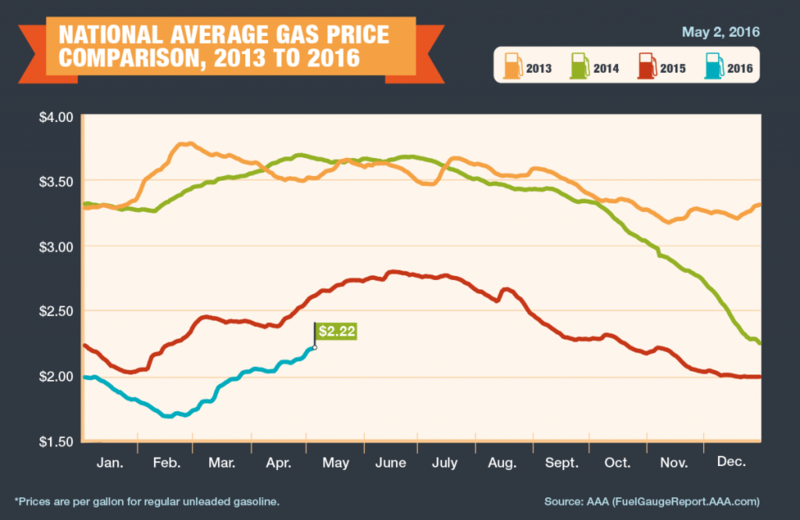 Proving this to be true, gas prices began to tick up this month, reaching a six-month high on May 2 according to the AAA Daily Fuel Gauge Report, though the average national price of about $2.22 per gallon is still substantially lower than prices we saw in 2013 and 2014. The good news is there are ways to capitalize on the cyclical nature of oil prices and make the benefits of lower prices last longer. First of all, what kind of money are we talking about here? According to the Energy Information Administration, nearly 5.2 billion barrels of oil are used in the United States annually for non-commercial, non-industrial uses such as driving around or heating your home. That amounts to about 21.34 barrels of oil for every adult in the United States. Over the two years ending April 30 of 2016, oil prices dropped by $53.82 per barrel, to $45.92. Multiplying that price decline by the 21.34 barrels of per capita oil consumption in the U.S. results in an annual savings of $1,148.34 for the typical American. Of course, your actual savings will vary depending on your fuel-consumption habits, but the point is this: The savings from lower oil prices can add up to significant sums. Still, a better question is: Can you make that money last once lower prices go away? Yes, $45 dollar a barrel for oil is nice, but don't get lulled into thinking it is normal. Several times over the past 10 years oil has thrown a scare into consumers by surging past the $100 a barrel mark. From a historical perspective, oil has averaged $53.26 in today's dollars over the past 30 years, so current prices are 15 percent below normal. Adjusted for inflation, the highest month-end price during that period was the equivalent of $145.85, so oil can be more than three times more expensive than it is today. It is true that new production techniques have brought substantial new sources of oil online. But at the same time, global population and economic growth have boosted total demand over the long term. Past norms may not apply precisely to the present, but it is worth noting that the current price of oil is lower than average, and that peaks have been substantially higher. In other words, consumers would be well cautioned not to get used to the current price of oil … because it may not last. Refuel your savings account. Low interest rates have slowed returns on savings accounts, money market accounts, and certificates of deposit in recent years, so what better way to refuel those returns than with the savings from lower oil prices? Even after lower fuel prices go away, the money you save could still be earning interest. You can make the most of that lasting benefit if you shop to find the most competitive bank rates around. Top off your retirement plan. Like many today, you may be a little behind on your retirement saving. Spending less money on fuel is a great opportunity to catch up, a move that could further amplify the money saved by benefiting from retirement plan tax deductions and/or the employer match available on some 401(k) plans. If you are aged 50 or over, you can even make extra contributions such as an additional $1,000 a year to an IRA and an additional $6,000 to most 401(k) plans. This would be an excellent way to earn a long-lasting benefit from the money you are saving from lower oil prices. Burn down your debt. While you have the option of earning interest on savings accounts or investment returns on retirement accounts, another productive way to use the extra dollars that low oil prices put in your pocket is to retire any outstanding debt you have. In particular, credit card debt is a good candidate for this. The average credit card balance is paying 13.70 percent in annual interest. Even if lower oil prices prove to be temporary, retiring high-interest debt with your fuel savings can have a substantial and lasting benefit. Each of the above actions will leave you with some lasting benefit even after oil prices rise. And making constructive use of the money you are saving from lower oil prices now will also do something else that's very important — it will stop you from simply absorbing that extra money into the amount you spend from week to week. That way, you won't find yourself in a deeper financial hole the next time oil prices move higher. One thing you don't hear as much about when oil prices are down is buying a hybrid car, a diesel vehicle, or other alternative-fuel vehicle. If it's time to replace an old vehicle, for instance, this could be a smart financial move. Gas-savers tend to get very popular when petroleum prices are high, and less so when prices are low. However, think about this instead — it might be time to buy when gas prices are low. Buying a hybrid or similar vehicle always comes down to weighing the trade-off between the higher price (compared to a conventional vehicle) you are likely to pay for the car and the gas savings you will recoup in the years that follow. That decision always comes down to the specific numbers involved, i.e., there is no universal right or wrong answer. However, when hybrids are in heavy demand, there can be waiting lists for them and extra premiums attached to their prices. Between higher purchase costs and delays in reaping the gas-conservation benefit, this can make the trade-off work less in favor of hybrids at the time when people want them the most. In contrast, when gas prices are low and hybrids aren't quite so hot, it may well be a better time to buy them. You might be able to get a more reasonable price, and be positioned to start benefiting from better fuel economy immediately in case gas prices start to rise. “Sustainability” is a popular word with environmentalists. Whether it is buying a hybrid or making financial moves that have lasting benefits, you should think about how to make the current dip in gas prices more sustainable for your finances. If you reworked your budget when gas prices started going down, what did you do with your savings? Can you think of other ways to make this windfall last?